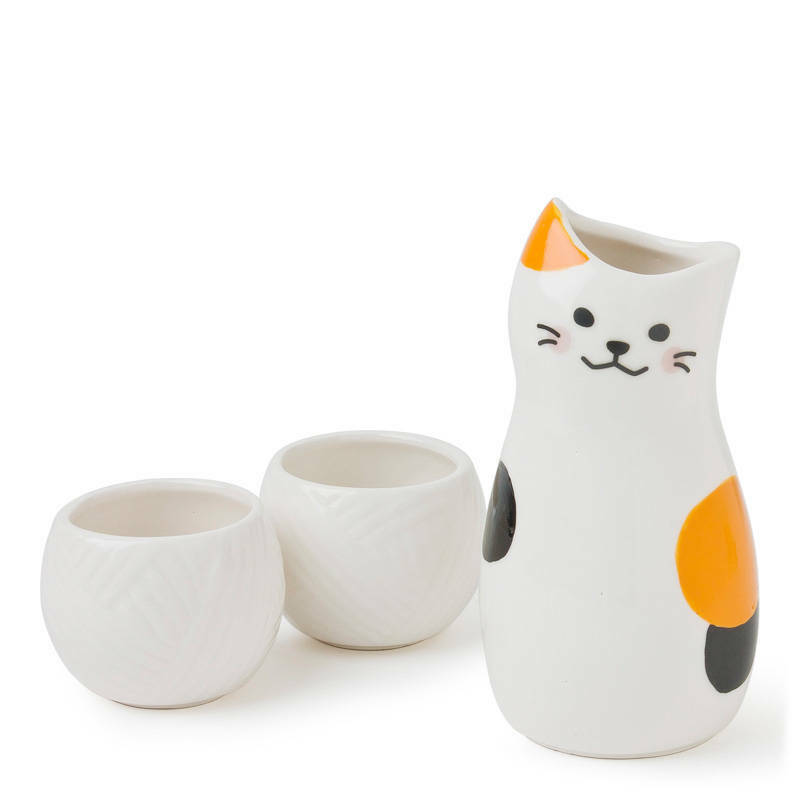 Now you can drink your sake like a lady... A cat lady. Adorable calico cat design makes this a favorite go to! Seriously, the sake cups are designed to look like balls of yarn. BALLS OF YARN, people!! Too cute. Set includes one 5.75" h sake bottle with two 2" h cups. Bottle: 3" diameter x 5.75"h; 10 oz. capacity. Cup:2.5" dimeter x 2"h; 3 oz. capacity.